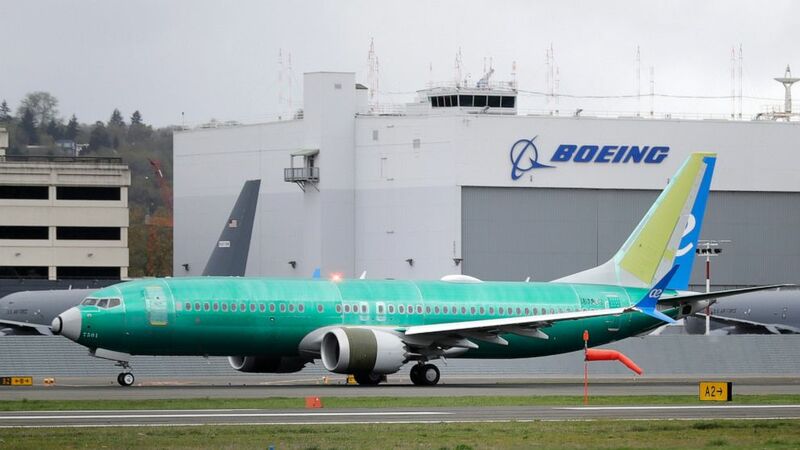 Boeing’s CEO says crews have made 96 flights to test a software update for its troubled 737 Max jet and will make more in coming weeks as the company attempts to convince regulators to let the plane fly again. Dennis Muilenburg also said Thursday that the company has met with pilots and airline officials in the U.S. and abroad, holding flight-simulator sessions to demonstrate the software changes. The Federal Aviation Administration, which will consider whether the plane can resume flying in the U.S., plans to meet Friday with safety officials and pilots from American, Southwest and United, the three U.S. carriers that were using the Max jet. An FAA spokesman said the agency wants to hear from the airlines and pilots before deciding what Boeing must do before the plane is allowed to fly. Regulators around the world grounded the Max last month after deadly crashes involving the plane in Indonesia and Ethiopia. In both cases, faulty information from a sensor caused anti-stall automation to kick in when it wasn’t needed and push the plane’s nose down. Pilots struggled to counter the plane’s actions but were unable to avoid crashing. Regulators in Europe and China are conducting their own reviews of the plane, and company insiders and analysts expect foreign regulators to take longer than the FAA to approve the Max’s return to service. Boeing representatives have visited the United Kingdom, Singapore and China to discuss its work on the Max with pilots and airline officials, including demonstrating the software update in flight simulators, Muilenburg. The Boeing CEO spoke during a leadership forum at the George W. Bush Presidential Center in Dallas, as the former president sat in the front row. Muilenburg did not take any questions, and left immediately after his remarks. Separately, Sen. Edward Markey and other Senate Democrats introduced a bill that would require aircraft makers to provide airlines with all safety equipment now considered optional and to do it at no extra charge. The planes that crashed in Indonesia and Ethiopia did not have two optional displays that might have alerted the pilots to the malfunctioning sensors suspected of playing a role in the crashes. Markey said if they had been installed, the crashes might have been avoided. The Air Line Pilots Association endorsed the legislation. A Boeing spokesman said the company’s planes are equipped with “all critical features” necessary for safety. Boeing has said it will provide the two displays free of charge in the future. Bernard Condon in New York contributed to this report.